Following our previous posting on a Bauhinia-inspired art exhibition from Avon Lee, our second update on Bauhinia art covers new and ongoing work from from multi-genre artist, critic and teacher Ellen Pau. This is currently on at the Hong Kong Heritage Discovery Centre in Kowloon Park, and is organised by the Hong Kong Museum of Art while their galleries are being renovated. 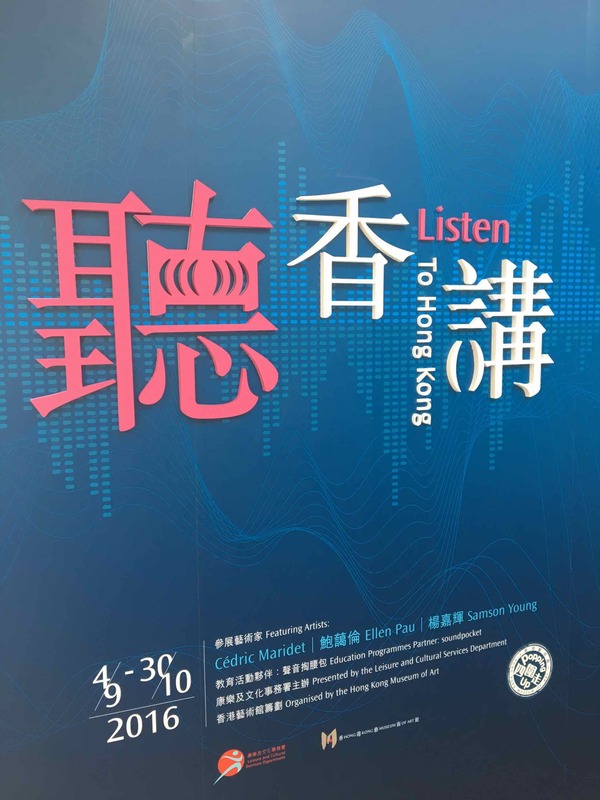 Part of the exhibition “Listen to Hong Kong”, which tries to express sonic memories of Hong Kong, Ellen has been inspired by our project decoding the emblem of Hong Kong, and has attempted to bring our data into a performative laboratory. 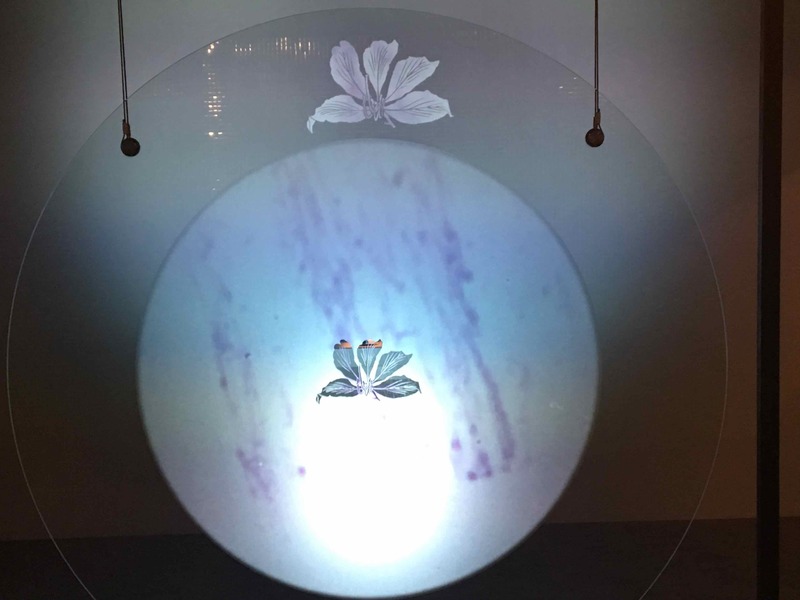 Her installation, Emergence (a work in progress), asks the viewer similar questions to our scientific project: what are the traits of Bauhinia blakeana, and what is the origin of these traits? In both science and art “Emergence” is a process where entities interact with each other, giving rise to greater complexities, and different properties. Others have previously expressed DNA profiles into sound (e.g. microbial bebop), and Ellen has tried to collect scientific data from plants and animals with biological or genetic links to Bauhinia and translate them to sound. During the deconstruction process, materials were converted, recomposed and reinterpreted to become another form of existence that shares the same origin, but with a completely different outcome. Visualisation is an important part of both the scientific and artistic process. While we are now viewing and interpreting Bauhinia genetic code from a scientific perspective, this is Ellen’s attempt to reinterpret and visualise it from an artistic perspective. You can see a video below capturing some of the visual experience, but you need to see the installation in person to appreciate the audio and fully immerse yourself in it. We hope this work encourages and inspires others to take an interest in Bauhinia and the science of genetics. The exhibition is on until the 30th October, so would encourage you all to check it out until then. The Hong Kong Heritage Discovery Centre is at the edge of the beautiful “tree walk” of Kowloon Park, and appropriately the entrance is directly opposite the Bauhinia trees. All three species we are studying are growing there, and the Bauhinia blakeana and Bauhinia pupurea should both just be starting to bloom if you want to do some real Bauhinia spotting at the same time (and don’t forget to tag any pictures #bauhiniawatch). 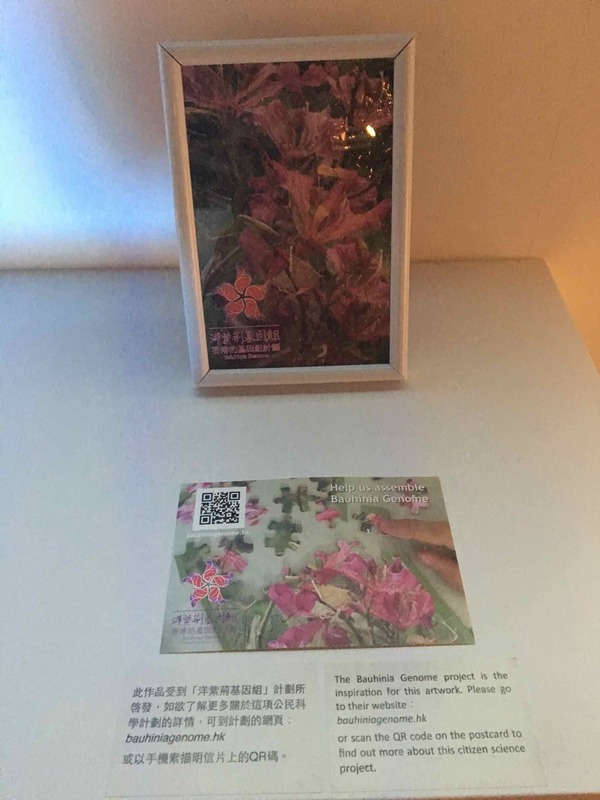 Ellen has very kindly given Bauhinia Genome a credit in the exhibition, and has encouraged viewers to participate in our ongoing efforts. We have a new funding page where you can donate via paypall or patreon, so if you are inspired by these efforts to help us create more Bauhinia data, which in turn can help inspire more Bauhinia art, please support us via the link here.